1. Does what I do on my farm make a difference to resistance? Yes – Poor practice can make septoria tritici more resistant in one season, so you will face a more resistant population next year. Collective action is required. 2. Can varietal resistance slow fungicide resistance against septoria tritici? Yes – If it allows a less intensive fungicide programme to be used. It acts like an extra mixing partner. 3. Is it good resistance management to keep disease at a low level? No – If disease is kept lower by more intensive use of fungicides. Yes – If disease is reduced by cultural methods (eg resistant varieties and later sowing). 4. When an SDHI is used, how should it be protected? The SDHI should be mixed with an azole dose of comparable efficacy and a multisite. 5. Is it only useful to add a multisite at early treatment timings, T0 and/or T1? No – Multisites are useful to protect azoles and SDHIs at all spray timings. 6. 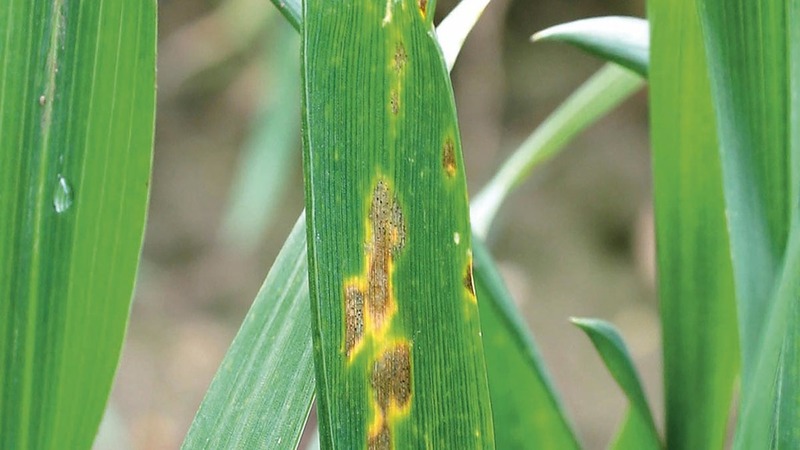 Is it still worth using azoles against septoria tritici? Yes – Although efficacy has reduced, epoxiconazole and prothioconazole still give good (50 to 60 per cent) control in a protectant situation and are vital to protect SDHIs. 7. Is there cross-resistance between SDHIs? 8. Does a strobilurin contribute to a balanced mixture to manage septoria tritici if added to an SDHI? No – The strobilurin has low activity against septoria tritici and does not protect the SDHI. 9. Can using an azole at T0 to control yellow rust make septoria tritici more resistant to azoles? Yes – Selection for azole-resistant strains happens whenever an azole is used, even if septoria tritici is at low levels and is not the target of the spray. If rust is the main target, a strobilurin is a good alternative. 10. Can using an azole at head treatment, T3, to control fusarium make septoria tritici more resistant to azoles? Yes – Selection for azole-resistant strains happens whenever an azole is used, even if septoria tritici is at low levels and is not the target of the spray. Adding a multisite reduces risk. 11. Which is best, mixtures or alternation of different modes of action? Both – Mixtures and alternation are both good strategies to slow resistance. Mixtures are better in a wider range of situations and are required for some modes of action. 12. Can alternating azoles help slow resistance against azoles? Yes – Alternating azoles may have a small beneficial effect. Fungicide Futures is a joint initiative between AHDB and the Fungicide Resistance Action Group UK (FRAG).